In the latest installment of our 'Napier Nine' video series, we learn all about Dave Ingle, Director at Napier. PCIM Europe 2018 the leading international event for Power Electronics, has seen a record number of visitors on its 40th year anniversary. Over three days the event was attended by over 11,000 visitors who used PCIM as a platform to gain new knowledge and network with fellow experts in the field. There was a total of 506 exhibitors and 88 represented companies showcasing new trends and innovations from various fields of power electronics. With a 7% increase in visitors from last year, it is clear to see why PCIM Europe 2018 is already being declared such a success. 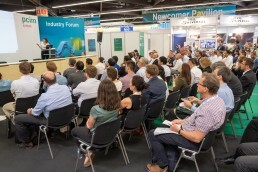 This year PCIM Europe also saw a rise in conference attendees, with more than 800 participants attending over 300 lectures and poster presentations. The conferences provided information on innovative developments in both industry and academia. Visitors have been quick to praise PCIM Europe this year, and we look forward to seeing the direction PCIM Europe will take with the power electronics industry over the next few years. Rob Furby, Creative Services Manager at Napier, is the latest member of the team to take part in our 'Napier Nine' Video series. The Date 2019 conference has officially launched its Call for Papers, inviting experts from across the design, automation and test industries to get involved. The conference will take place from the 25th - 29th March 2019 at Firenze Fiera, Fortezza da Basso, in Florence, Italy and covers four key topics including: Design Methods and Tools, Application Design, Test and Dependability and Embedded and Cyber-Physical Systems. Two days of the conference will address particularly challenging areas for the system design community, focussing on ‘Embedded meets Hyperscale and HPC’ and ‘Model-Based Design of Intelligent Systems’. The conference will also cover hardware and embedded software design issues, as well as the design requirements and new architectures for challenging application fields such as IoT, multimedia, healthcare, smart energy and automotive systems. Date 2019 welcomes all paper submissions for standard oral and interactive presentations. As well as encouraging proposals for Special Sessions, Friday Workshops, the University booth, European Projects and the PhD forum. For more information and to find out how to submit your paper, please click here. In our ‘Napier Nine’ video series we have been getting to know the Napier team. In this installment, we introduce you to Stacey Peskett, Accountant at Napier. The BrightSpark programme for 2018 has been declared a huge success, after highlighting the brightest and most talented young electronics engineers in the UK. 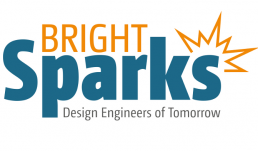 Partnering with RS Components and receiving great support from the industry, including HARTING and the IET; Electronics Weekly formed the BrightSpark Programme to celebrate innovative young engineers in the beginning of their careers, and inspire them to become the people behind great innovations in the future. The BrightSpark programme has received great interest from the industry, with entries up by 25% and page visits up another 2000 compared to last year. The programme featured a high-profile panel full of industry expertise and knowledge, including Peter Hannon managing director at HARTING UK, a client of our our sister company Peter Bush Communications. Electronics Weekly featured a BrightSparks supplement in their May issue, detailing the awards ceremony hosted on the 3rd May. 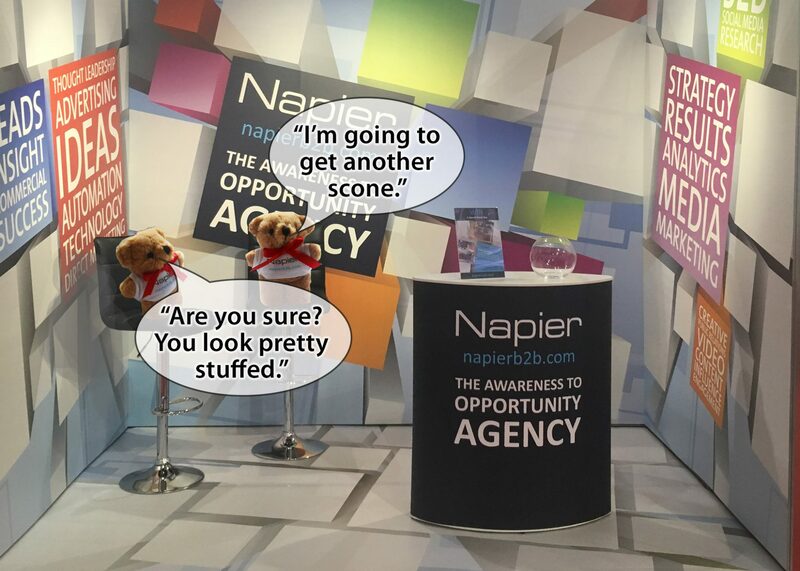 At Napier, we are firm supporters of celebrating success at any stage of your career and it is great to see the industry celebrating the successes of the younger generation. By acknowledging all levels of experience in the industry, Electronics Weekly will encourage more people to choose electronics as their career, as well as inspire current engineers to strive to be the best. We look forward to seeing how the electronics industry evolves with these talented engineers, and who will be behind the great innovations for the electronics industry in the near future. 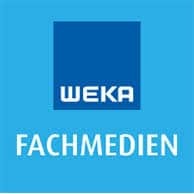 The four electronics titles at WEKA FACHMEDIEN, Markt&Technik, Elektronik, Elektronik Automotive and DESIGN&ELEKTRONIK, have collaborated to produce an English language newsletter. The newsletter covers news from the world of electronics with the choice of English, reflecting a need to respond to the globalisation of the industry. It will be distributed every Friday and published on elektroniknet’s English website. Editors contributing to the newsletter include Frank Riemenschneider, Stefanie Eckardt, Dr. Ingo Kuss and Gerhard Stelzer, who are all looking forward to adding value to the newsletter each week. At Napier, we think it is great to see four magazines working together, each with a slightly different focus, and it’s going to be interesting to see how successful a German publisher can be in the English-language market. We’re looking forward to reading the newsletter every Friday. ETN has announced the launch of their digital magazine ETNdigi. The magazine will be distributed in a pdf format, consisting of news, technical articles, event reports and columns; as well as containing active links to technical papers and presentations. The first issue of ETNdigi will be published in June in partnership with Arrow, and will be distributed not only to ETN’s subscription database, but also Arrow Finland’s customer base and Arrow’s IoT summit visitors. With the first issue to focus on different IoT network technologies, their testing, building blocks and applications, ETNdigi is already promising readers a magazine they would regret missing. ETN are aiming to distribute 2-3 issues of ETNdigi per year to be based around industry specific themes or events. For any further questions or to find out how you can advertise with ETNdigi, please contact Editor-in-Chief Veijo Ojanperä. For the latest chapter in our ‘Napier Nine’ video series, we get to know Suzy Kenyon, Director at Napier. 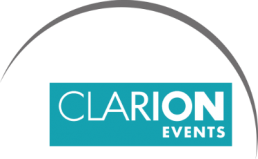 Clarion Events, one of the oldest independent event organizers in the UK, has acquired PennWell Corporation – a private B2B media, conference and exhibition company. The acquisition brings together two of the industry’s most respected companies, as it enables Clarion events to expand its North American operations, as they form one of the largest event companies in the world. PennWell previously organised more than 40 exhibitions and conferences around the world. They also handled 130 media properties for many industries, including: oil and gas, electronic power generation and delivery, hydropower, renewable energy, fiber-optics and cable and aerospace. In the electronics sector they are particularly known for the title Military & Aerospace Electronics. The acquisition will clearly benefit both sides of the table, as PennWell’s roster of market-leading events will enhance Clarion Events' portfolio whilst Clarion’s global network and depth of resources will no doubt strengthen PennWell’s offerings. With an impressive presence across Europe, Asia, Africa and the Middle East. Clarion Events' has the reach to enhance PennWell’s offers to worldwide customers, including their diversified portfolio of events, such as the POWER-GEN series, DistribuTECH for electricity distribution, as well as media brands such as the Oil & Gas Journal. PennWell is the latest in a series of global acquisitions by Clarion, who purchased Urban Expositions back in 2015, and announced in February the acquisition of Hong Kong based Global Sources, a leading events organiser and online B2B marketplace operator. It is interesting to see Clarion Events' making moves across the globe as they reinforce themselves as a widely established company in the industry. Their latest acquisition of PennWell presents their commitment to building a strong and competitive presence in North America as they continue to build their portfolio and the innovative events within it. In this instalment of our ‘Napier Nine’ video series, we take the time to find out all about Fiona Challen, Marketing Specialist at Napier. Napier continues to prove itself as a successful B2B PR and Marketing agency with 2 new clients wins – Redis Labs and NetSpeed Systems. Redis Labs, a leading computer software company, has appointed Napier to help them increase their Brand Awareness through PR activities in the UK. Using Napier’s technical expertise and relevant experience, they will secure coverage for Redis Labs in a diverse range of vertical markets. Napier has also been appointed by NetSpeed Systems, a company that provides scalable, coherent on-chip network IPs to SoC designers. Napier has been selected to run a pan-European PR campaign to increase the awareness and preference of NetSpeed Systems in Europe. Napier are excited to be working with two such innovative companies and look forward to promoting their brands through high quality PR activities. Our Latest Competition - Winner Revealed! Congratulations to Jacki Elwell from Vicor, who is the winner of our 'Tell us What the Teddy Bears are Saying' competition. In our ‘Napier Nine’ video series we have been getting to know the Napier Team. In this installment we interview Media Analyst, Rachael Penfold. Electronic Specifier has announced the launch of their new magazine Startups, a publication that will be aimed at the startup community and will cover the latest project news and stories in the sector. Following the Hardware Pioneers event held in London, it’s clear to see that an active startup community currently exists within the UK, especially within the technology sector. The event saw startups, entrepreneurs and investors gather to share ideas and to help get tech projects off the ground. 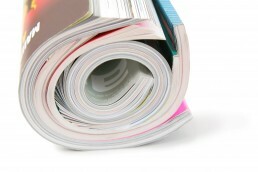 With recent research stating that the number of new technology companies launched in the UK last year rose by almost 60%, Electronic Specifier has targeted a sector that is truly thriving and in need of a magazine dedicated to their community. The Startups magazine will be a quarterly print and digital publication, covering the latest project news and stories in the sector, as well as insight from investors, accelerators, incubators and industry experts, who will be able to offer advice and guidance on how to take an idea and make it a success. The debut issue of the magazine is now available and gives good insight into the great content we can expect to see in the future. It’s great to see Electronic Specifier expand their horizon and fill a gap in the industry. We look forward to reading future issues and learning about the startups community and the leaps of faith they take to make their vision of technology a reality. Google has implemented new ad blocking rules on its Chrome browser, in a move to improve what they think is an acceptable ‘ad experience’. Chrome’s built-in ad blocker means that all advertising on websites that serve ‘annoying’ ads, such as autoplay videos with sound, full page pop-ups and some welcome ads will be blocked. This means Google won’t block all ads, just those that don’t conform with the Better Ads Guidelines. Although this is a welcome improvement for users of the browser, it is understandable to see why online publishers are fretting about this move as they are the most affected by this change. Many publishers use the Doubleclick for Publishers system (DFP) to display their advertising. 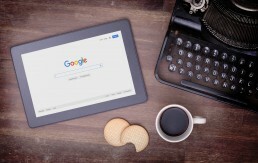 As the system is owned by Google publishers are in a tight corner, as Google has the control to practically ‘dictate’ what ads can be run on their site. If you run adverts that break the rules and cause a ‘Google ad violation’, this could result in Chrome blocking all advertising featured on the given site. This is potentially a huge penalty to any publisher. Although the new ad blocking rules are currently only affecting USA and Canada, they are already affecting European publications who expect Europe to follow suit with Chrome’s built-in ad blocker. Electronics Weekly, is already one key publication that is being affected by these new rules; they say they have no choice but to remove their use of ‘pop-ups’ that are no longer allowed by Google and ‘Welcome Ads’, which are now restricted in how they operate. The publication has alre+ady removed these types of ads from their advertising in USA and Canada, and will eventually remove ‘Pop-up’ and ‘Welcome’ ads from their standard inventory altogether. Although it is clear to see why publishers are worried about this change, there has to be positives to improving the user experience. The big question is whether the new standard not only decreases the number of readers using ad blockers, but if it will improve the experience of website users to such a degree that the effectiveness of “better” adverts is improved. In our ‘Napier Nine’ video series we have been getting to know the Napier Team. The latest to take part is Mike Maynard, Managing Director at Napier. Watch Mike’s video below to discover the four words he would use to describe himself, his secret skill and the Napier project he is most proud of. The IET Innovation Awards for 2018 are now open for entries. The IET’S annual award ceremony celebrates the very best in new innovations across science, engineering and technology, presenting entries from all around the world. With 13 categories to enter, including Power and Energy, Manufacturing Technology, Start-up and Young Innovators, the IET ensures that everyone from the industry has the opportunity to reveal their latest innovations; whether this be a creative new design or a revolutionary product. The IET Innovations Awards are highly regarded as they offer a place for the best in the industry to be celebrated, and raise their profile by sharing their ideas with a wider audience. The awards are free to enter and the winners will gain a 12-month ‘Conference Pass’, as well as being invited to showcase their innovation in action at the awards ceremony. For more information or to enter your innovation into the awards please click here. Janice Ashton, Account Director at Napier, is the latest to take part in our ‘Napier Nine’ series. EETech Media and Marketing has announced their new partnership with Bodo’s Power Systems, which makes EETech the exclusive North American sales channel for Bodo’s System Design. Co-founder and CEO of EETech, Adam LaBarbera described the partnership as the next logical step to “bring our collective experience and audiences together”. 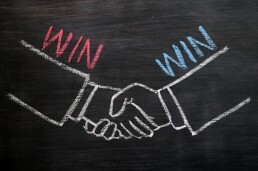 Bodo Arlt, founder and publishing editor at Bodo’s Power Systems reinforced this view stating “Partnering with EETech enables us both to grow our reach. Knowing that EETech understands the importance of quality, timely information for power engineers makes for a great partnership that we are very excited about”. At Napier, we are always excited to hear about the latest magazine collaborations, and we are certain that the partnership of EETech and Bodo’s Power Systems can only bring benefits to the industry, as they work together to provide the best technical content for their readers. Italian publication Selezione di Elettronica has announced an important change to their editorial team, as after 11 years as Editor in Chief, Laura Reggiani has decided to resign from her position to embark on a new adventure. With almost 30 years of experience in the electronics industry, Laura has made the difficult decision to leave the electronics world behind and move her focus onto a new project. Although we are sad to see Laura leave, we were pleased to learn that Fabio Boiocchi will be taking over as editor in chief, with Pierantonio Palerma remaining Editorial Director for Selezione. We wish Laura the best of luck for her future and look forward to seeing the direction Fabio will take Selezione di Elettronica in as the new Editor in Chief. Techwatch, the publisher of Bits & Chips and Mechatronica & Machinebouw, has become the sole owner of High Tech Institute after acquiring all shares. Formerly known as the Philips Centre for Technical Training, researchers and scientists of High Tech Institute have spent years developing technical training with their leading-edge knowledge; making them available for the people within High Tech Institute’s product divisions, and then eventually available for the whole high-tech ecosystem in the Netherlands. René Raaijmaker owner and managing director of Techwatch and High-Tech Institute, explained how “The training institute fits with the mission of Techwatch as supplier of independent information and knowledge”. It’s no secret that this is a clever move for Techwatch, as the post-academic trainings of High Tech Institute fit perfectly within Bits & Chips and Mechatronica & Machinebouw target audience of engineers and technical managers in electronics, mechatronics, optics and software. It is impressive to see Techwatch take this leap of faith and make this move, as it shows that at least one publisher in the industry is thinking creatively about their business. This is definitely an opportunity that further publishers can take advantage of in the future, and with a clear fit between training and publishing, it would good to see more publishers making similar moves to Techwatch. Emily Serna, Marketing Specialist at Napier, is the second person to take part in our ‘Napier Nine’ series. This time round we introduce you to the individual behind the Marketing Specialist; learn what fictional place Emily would most like to visit, what she would spend her last £20 on and the Napier project she is most proud of. Missed our first ‘Napier Nine’? Watch Amie’s video here.